Happy Monday everyone!! 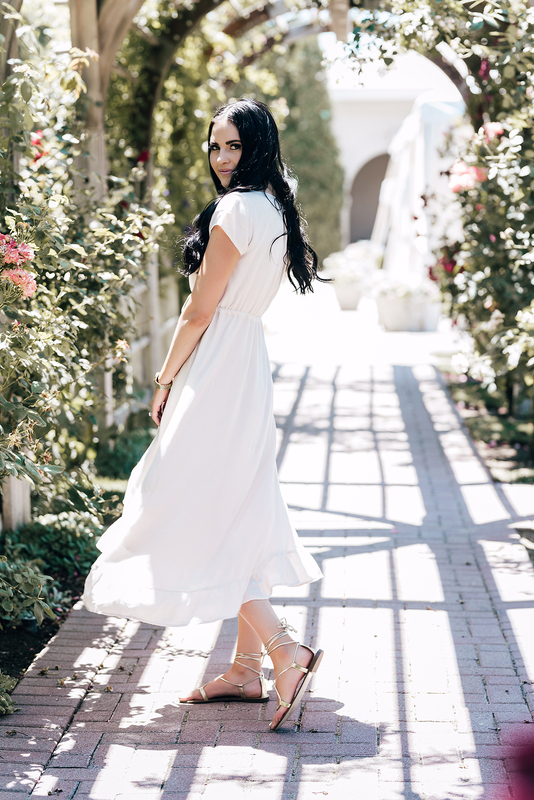 This Morganite Boho Swing Dress is one of the newest Rachel Parcell arrivals that hit my clothing line’s site a couple weeks ago. It’s the perfect go-to dress that can be worn for any occasion this summer! The lightweight fabric allows you to style for comfort and ruffled high-low hem is super stylish and on trend right now! Thanks so much for stopping by, I hope you have a wonderful Monday! What a lovely look, Rachel. I love that kind of comfortable and flowy yet elegant dresses. That swing dress is so pretty! And it look so comfortable too! You look amazing in that dress. It gives off an ethereal vibe as well. 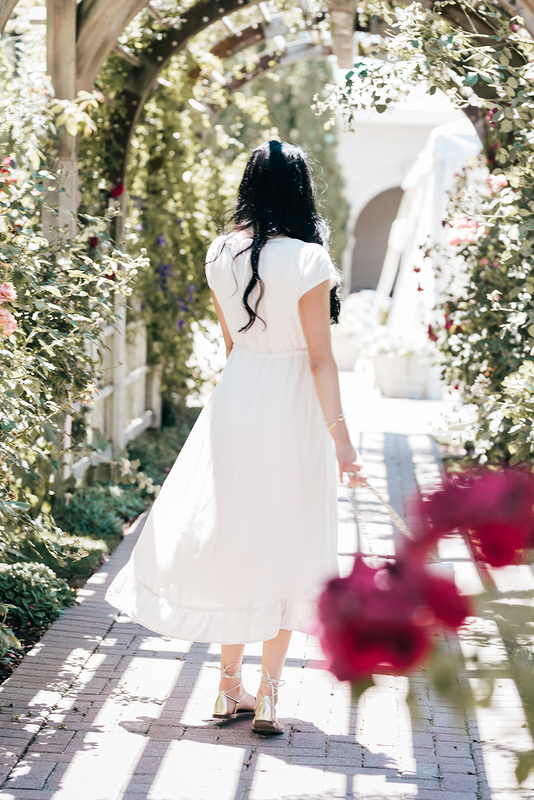 I love a good flowy dress! Such a great dress…and I’ve had my eye on those J.Crew sandals! What a perfect dress! So simple but beautiful! You always look so cute!!! The location is so beautiful! And you too as always! So pretty. I adore this dress! What a beautiful dress, Rach, you did such a great job designing a piece that’s such a great fuse of dressy and casual; I love the ruffle high-low hem! Thanks for sharing and I hope you have a great week ahead! That dress looks so nice for the summer heat! Love this dress and the sandals so much! I think I need these shoes in my life. That dress is definitely versatile. I love how gorgeous and romantic it looks in these pictures! These sandals are incredible for summer! You look gorgeous, Rach! Love seeing pieces from your line! Lovely summer outfit and pictures! The background of these photos are so stunning! Love effortlessness of this dress as well! I love your dress dear. Love this look especially those sandals!! 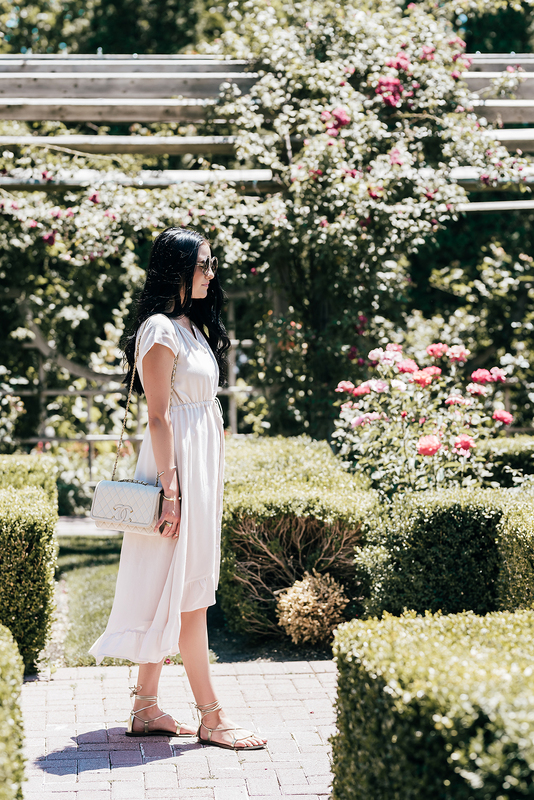 I’m getting Grecian goddess vibes from your look and that pink shade is perfect! So chic and fabulous Rachel!! Thanks Madeline! I love them and they’re on sale right now!! Thank you, Alexia! So sweet! This is such a fun and flirty dress! I love the high low hem too! It’s perfect for the summer! Oh wow, I love this look so much!!! 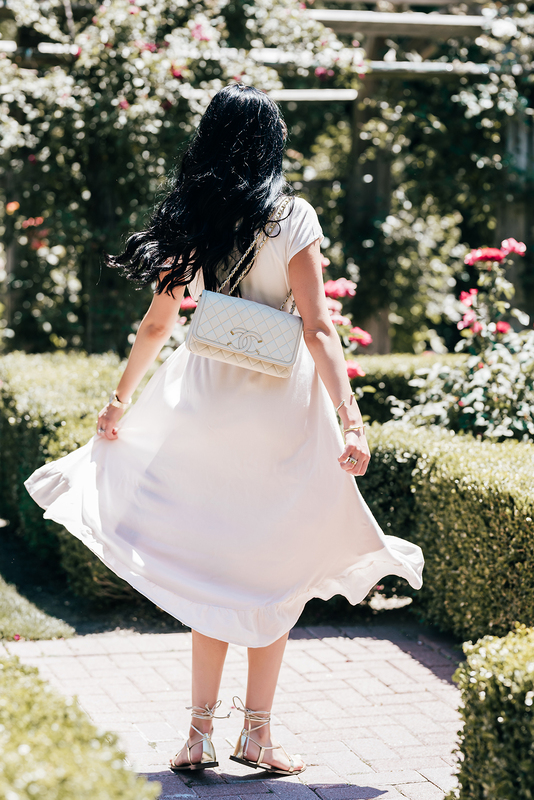 The Dress in combination with this gorgeous Bag is just lovely. Such a nice and classic Summer Outfit. What a beautiful dress! I love the sandals too!